Air101: Lufthansa and EasyJet make bids for Alitalia but the sale is delayed. Lufthansa and EasyJet make bids for Alitalia but the sale is delayed. The budget airline EasyJet and the mammoth Lufthansa Group are among a number of companies that have put in bids for all or part of the financially troubled Italian airline, Alitalia. However, the sale has been delayed as the Italian Government loans the airline another 300 million euros. Lufthansa confirmed it had submitted an offer letter on Monday, expressing its interest in establishing a "NewAlitalia". Lufthansa has opted not to make an offer for the complete Airline but has stated interest in only parts of the Global network traffic and European and domestic point-to-point business. 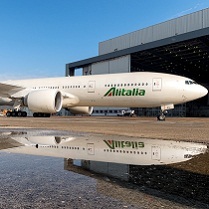 The offer includes a concept for a newly structured Alitalia with a focused business model ("NewAlitalia"), which could develop long-term economic prospects. "The responsible commissioners have agreed to maintain confidentiality regarding the details of the offer," said Lufthansa, however some details are already appearing in Italian media, including amounts Lufthansa and others have offered. EasyJet said it was interested in “certain assets of a restructured Alitalia ” but have so far refused to give details of which parts of Alitalia it would take on. Ryanair had been vocal about its interest in the Italian airline previously and briefed that it might make an offer, however, the Irish airline dropped out of the running a few days before it started cancelling flights by the hundred. Staff at the Dublin HQ have confirmed the reason they are not bidding is the same reason they couldn't bid for part or all of Air Berlin, which is they simply didn't have the money and are not able to raise the funds required. Alitalia had confirmed it had received seven envelopes by the 5pm dealing on Monday at the Atlante Cerasi associate notary’s office in Rome. 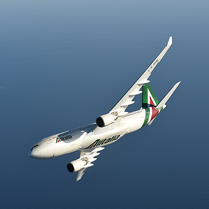 The Special Commissioners of Alitalia will now begin evaluating the envelopes it said. The Italian government has postponed the deadline for making a final decision over the sale of Alitalia until April 2018. It had previously been expected to make a decision by the 4th November.